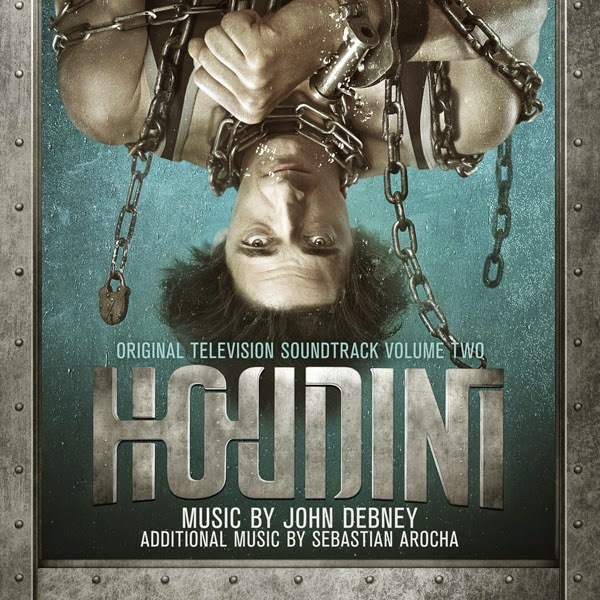 Lakeshore Records will release the HOUDINI – Original Television Soundtrack Volumes 1 and 2 digitally on August 26th and on CD September 30, 2014. The album features original music by John Debney (Sin City, The Passion Of The Christ). John Debney continues to receive accolades for his outstanding work. Last year, he received a Prime Time Emmy nomination for his work on the miniseries Hatfields And Mccoys. In 2005, he became the youngest recipient of ASCAP's prestigious Henry Mancini Lifetime Achievement Award. Debney has again broken new ground composing for the videogames Lair (2007) and The Sims Medieval (2011). His Lair music was nominated for a BAFTA and he was awarded Best Videogame Score by The International Film Music Critics Association. John Debney’s recent accomplishments include scoring the Steve Jobs biopic Jobs. His recent projects include Draft Day and Walk Of Shame, both feature soundtracks on Lakeshore Records. 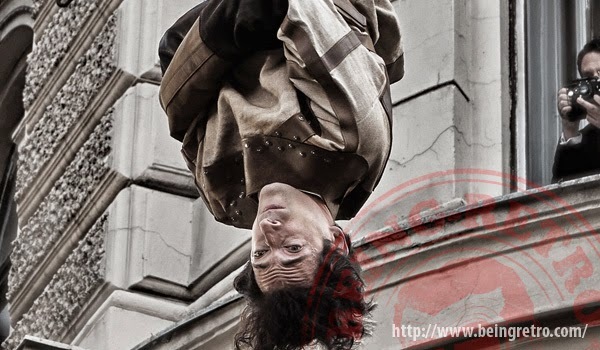 The two-night scripted miniseries HOUDINI follows the epic tales of Harry Houdini as he emerges as America’s first bonafide world-renowned superstar. From humble beginnings at circus sideshows to sold-out concert halls, Eastern European immigrant Erich Weiss rose to become a household name across the globe–Houdini. 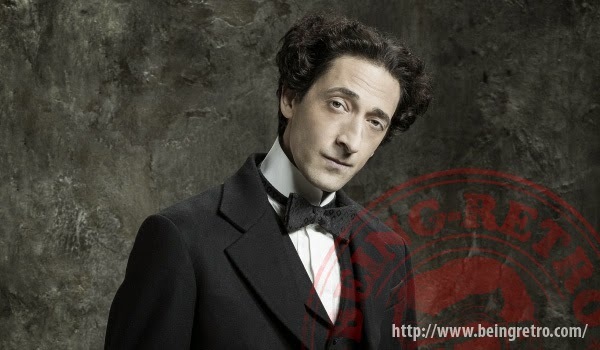 Academy Award® winner Adrien Brody (The Pianist) stars as The Great Harry Houdini as he finds fame, engages in espionage, battles spiritualists and encounters the greatest names of the era, from U.S. presidents to Arthur Conan Doyle and Rasputin. A thrilling ride throughout Harry’s psyche, HOUDINI delves deep behind the curtain into his life through his stunts, his visions and his mastery of illusion. Joining Brody is Kristen Connolly (House of Cards, The Cabin the Woods) as Bess Houdini, the love of Harry’s life and right hand when it came to some of his most amazing feats, and Evan Jones (A Million Ways to Die in the West, The Book of Eli, Gangster Squad) as Jim Collins, Harry’s assistant and confidant. History presents HOUDINI – a special two-night event airing Monday, September 1 and Tuesday, September 2 at 9/8C. The HOUDINI – Original Television Soundtrack Volumes 1& 2 will be available digitally on August 26th and on CD September 30, 2014. HOUDINI is a Lionsgate/A+E Studios co-production. The creative team includes Gerald W. Abrams (Nuremberg, Family of Spies) and Andras Hamori (Sunshine) as executive producers, Academy Award® nominated writer Nicholas Meyer (The Seven-Per-Cent Solution), Academy Award® nominated director Uli Edel (The Baader Meinhof Complex, Last Exit to Brooklyn), Academy Award® winning production designer Patrizia von Brandenstein (Amadeus), and cinematographer Karl Walter Lindenlaub, whose work ranges from American blockbusters (Independence Day) to award-winning art house movies (Black Book). Just Announced, I am excited about this Mini-Series and well as you all know I am a fan of composer John Debney. Score music that I can only describe as retro-industrial-techno feel where he incorporates a metal to metal like feel and then brings in music in like an illusion is being preformed right before your eyes.